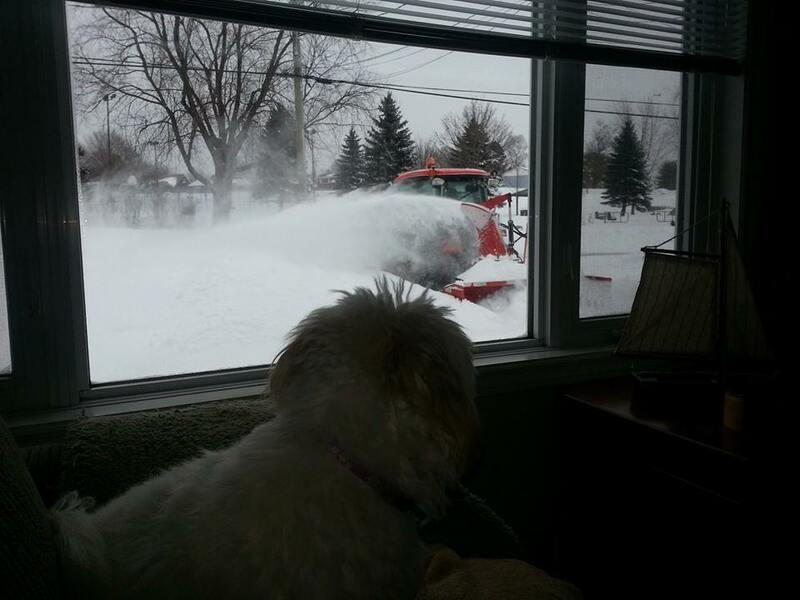 My dog Milane supervising the snow plow during today’s snow storm in Greater Moncton. A major snow storm hit Greater Moncton today. Up to 45 cm of snow was expected as well as high winds. Not sure how much snow we got yet! Stay safe, everyone!